The elementary school FAST “Families and Schools Together” program began on September 27, 2010 and met each Monday night for 8 weeks. Everyone enjoyed spending quality time with their family as well as getting to know other families within our community. 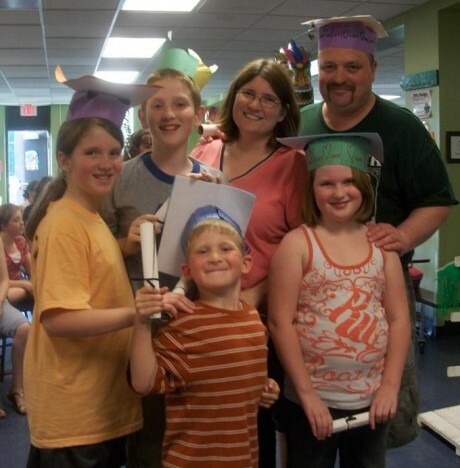 We are very excited to say that we had 8 families graduate from the FAST program on November 15, 2010. FAST is a social work program that is evidence based and values based. FAST was founded by Dr. Lynn McDonald, professor of social work, as a package which could be implemented by parents working alongside professionals to increase child well being, parent involvement in school, and social capital. FAST is recognized for its ability to engage parents. 80% of parents that attend once go on to graduate and are empowered to run their monthly meetings based on community organized strategies.